"I don't think we have to worry too much about Bernanke destroying the value of gold, but he is doing a great job on the dollar"
Try to remember that the dollar at 40 on the index should mean S&P 500 at 2500, so it is all good no matter what. Rough game last night, those Steelers are cagey! Denver was simply out-physicaled and out-executed. Denver's defense once again was very stingy in the 1st half. I think they only allowed 60 yds in the 1st half. In the second half they couldn't stop that stupid run over the right side. The bottom line is that McD has to make some adjustments on offense in order to generate more points. I think he's going to have to start letting Orton go downfield with the ball. You're probably right about the SPX going to 2500 when the dollar goes below 50. That puts the Dow around 20,000, and if gold starts to regress closer to a 1:1 dow/gold ratio, where will gold be? 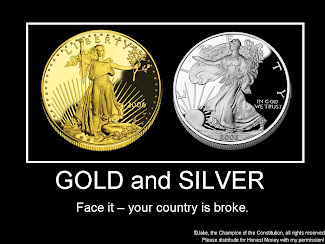 and if silver moves closer to a 15:1 ratio, where will silver be? The SPX may be at 2500, but I doubt it. In fact, I think things will get more than a little chaotic if the dollar loses half its trade weighted value in a year or two. 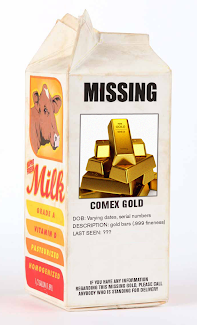 Ask yourself where fuel prices will be in such a scenario, and also be aware that the the planned slow drip currency depreciation to reduce debts gambit could get very much out of control such that the dollar at 40 might only rest there for a few days before something breaks and it goes to 30, 20, the following week. 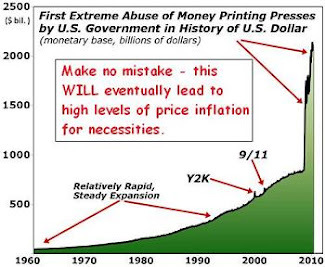 Hyper-inflation becomes a greater and greater threat as this process of controlled currency demolition continues. Put another way, the flock of black swans that flew over last year are set to fly by again anytime. 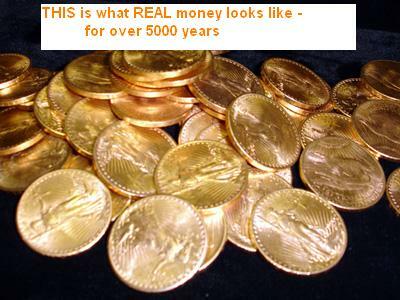 $10,000 dollar an ounce gold and $200 dollar an ounce silver may not be as far fetched as some would like to imagine. Agree Edwardo, however, a drastic deval of the dollar will send everything to the stratosphere -in dollar terms. That means the stock market too. Oil could easily go to $300 or $400 per barrel and stay unchanged in euros. But the same thing goes for the price of a share of stock. 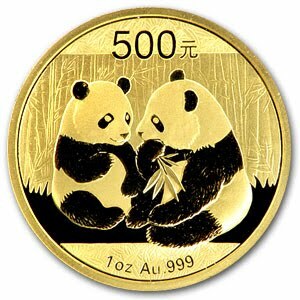 The scenario to takes gold to $10,000 - or even higher - means either that the dollar was systematically devalued and the dow/gold go much higher and the dow/gold ratio converges down towardn 1 OR gold is revalued substantially higher in a few other currencies in order to facilitate a gold-backed reserve currency that's not the dollar, and the price of gold in dollars goes much much higher because everyone holding dollars scrambles to buy gold because no one will take dollars. Those are 2 possibilities I see as being very real. Dave, don't you think that oil at $300 or $400 dollars a barrel, which may simply occur as a result of oil falling faster off its peak more rapidly than anticipated, would pulverize the U.S. economy? When I think of how many business failures there would be in such a scenario, I can only imagine a very few select companies thriving. What's more one would have to expect that their would be a massive shift out of most equity sectors into commodity plays of one sort or another. Having said that, mining operation would, once again, be up against it with such enormous energy costs. 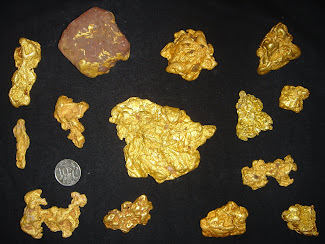 Anyone with physical would be golden, but paper shares...not so much. Let me correct that first sentence. Dave, don't you think that oil at $300 or $400 dollars a barrel, which may simply occur as a result of oil falling off its peak more rapidly than anticipated, would pulverize the U.S. economy? 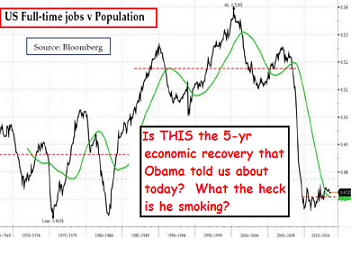 Edwardo - I'm not sure how much more the U.S. economy can be pulvarized before it shuts down. But here's the thing, there is a point at which there will be a complete disconnect between the real economy and the paper economy. We're already seeing that. The SPX is trading at something like 150x "as reported" earnings. "As reported" means "the closest thing to traditional GAAP earnings, even though it's still not really traditional GAAP." 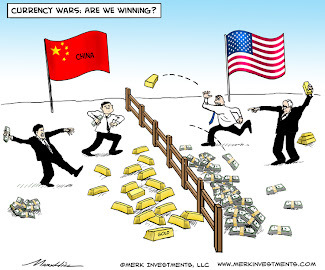 As the Fed hyperprints the currency, the money has nowhere to go but into the stock market and real assets like gold and hard commodities. The stock market will keep going up even though the economy is in the toilet. 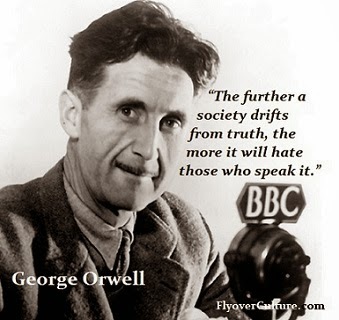 This is what happened, broadly speaking, in Weimar Germany. I'm a peak oil believer, but I think the price of oil over the next couple years will go up a lot more quickly in US dollar terms than it will priced in terms of gold. I'd watch the gold/oil ratio to see what is really happening to price of oil in an "economic rent" sense. Not US$/oil. If you have ever seen the film "The Running Man" you may get a kick out of tonights post.